Part of our non-rotating wire rope range, this 24×7 construction product is ideal for use with ship cranes, usually as a replacement for an original rope that has reached the end of its usable life. The ship crane rope 24×7 non rotating can prevent loads from twisting and allows for complete safety during critical handling tasks. 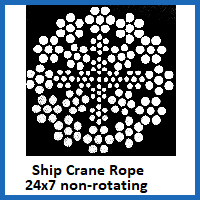 This rotation resistant ship crane rope really lives up to its name, allowing it to be used in a context where there is no room for instability or mistakes. Its 24×7 construction is made up of galvanised steel wires and can be chosen in diameters of 8mm up to 19mm. When it comes to breaking load, this kicks off at 56kN on the narrowest of the 24×7 construction ropes and rises to 310kN on its thickest counterpart. Underneath the corrosion-resistant exterior, a core of reliably strong steel keeps the whole assembly together. Ship cranes are not the only type of lifting equipment that needs ropes with rotation resistant properties. We also offer ropes for overhead cranes with the same 24×7 construction, along with wire rope for mobile cranes that will not succumb to torsion when under load. 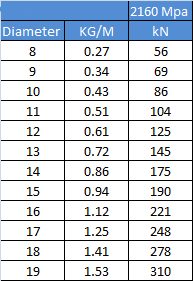 Seeking Help & Advice from Experts? Talk to us anytime by calling 01384 78004, where a team member will deal with your query using their expert knowledge. We also respond rapidly to emails you send via our site, so there are plenty of ways to get in touch about the wire ropes for cranes we stock. 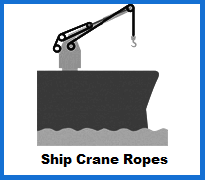 Ship Crane Ropes 24x7 Non Rotating Construction Overall rating: 5 out of 5 based on 6 reviews.